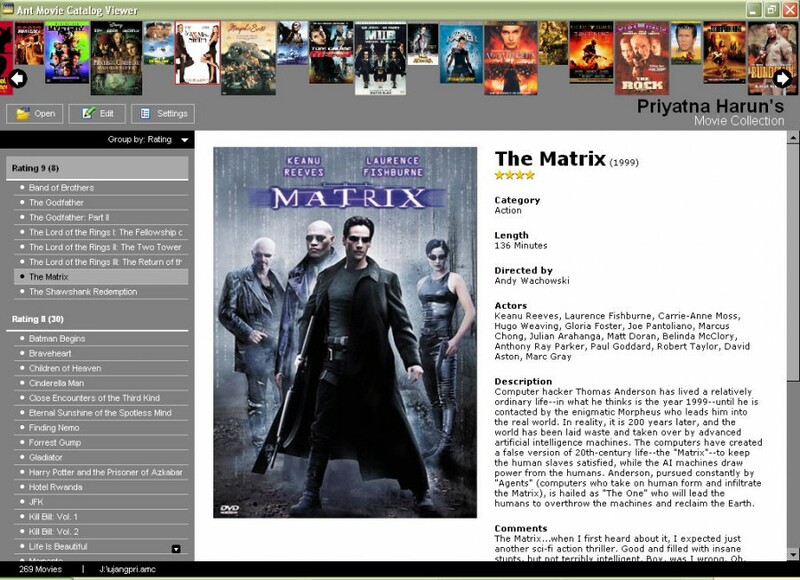 Ant Movie Catalog Viewer 1.4 is cataloging software developed by Priyatna.org. This home & hobby program is freeware, so you can download and use it absolutely free. Ant Movie Catalog Viewer 1.4 supports English interface languages and works with Windows 98/XP/Vista. Latest Ant Movie Catalog Viewer 1.4 does not contain any spyware and/or advertise modules, allowing installing it with no worries concerning valuable information loss. Our website has thoroughly tested home & hobby product Ant Movie Catalog Viewer 1.4, written the review and uploaded installation file (645K) to our fast server. Downloading Ant Movie Catalog Viewer 1.4 will take several seconds if you use fast ADSL connection.